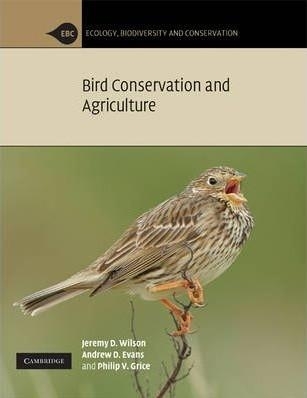 Writing for researchers, professionals and graduate students, the authors summarize the collapse of populations of many farmland bird species in the 20th century, one of the biggest conservation problems of the day. They firstly set the historical context of change in agriculture and bird communities since the 18th century, and introduce the bird communities of agricultural land today. They then provide an overview of this very active area of applied conservation science, including in-depth case studies of 16 species that, taken together, illustrate the many ways that agricultural intensification has affected bird populations. Moreover, they show how this evidence base, coupled with recent greening of agriculture policy, has provided opportunities to manage agricultural land to better integrate the needs of food production and bird conservation. They conclude by looking forward to challenges that the conservation of bird populations on agricultural land is likely to face in the near future.